Hello from a very snowy NYC! I'm writing this while snuggled up in bed…the subways are still out, so today is officially a snow day! We only ended up with about 14-16", but it's safe to say it's the biggest storm I've seen in quite a while, although a little reminiscent of my first night ever in NYC back in January of 2011. A friend & I had just caught the last bus leaving DC up to New York, trying to outrun a snowstorm. We got to our hotel, cleaned up, and headed out to get some food—by the time we traipsed the few blocks back we were all but soaking wet from the snowfall and woke the next morning to a solid 12+ inches on the ground. Funnily enough, nothing shut down that day and we ended up wandering the Met Museum for several hours—it's funny, because in Iowa we pretty much just call this "winter" (a friend shared this map of blizzard history with me; I grew up on the edge of "21-40"). Anyway, on to a new installment. I've found myself recommending instagram accounts to follow more and more often as of late, to both friends & fellow bloggers, and I decided to start sharing some of my favorites here in what I hope becomes a least a semi-regular series! I tend to be pretty picky about what makes me hit the "follow" button, and the number of photographers and designers skews a lot higher than bloggers or even friends of mine. I like knowing my feed will be full of beautiful images when I open it and can easily get lost in a rabbit hole of some of the amazing photographers out there. So, here we go—four accounts I discovered & am frequenting as of late! If you have some favorites, leave them in the comments. 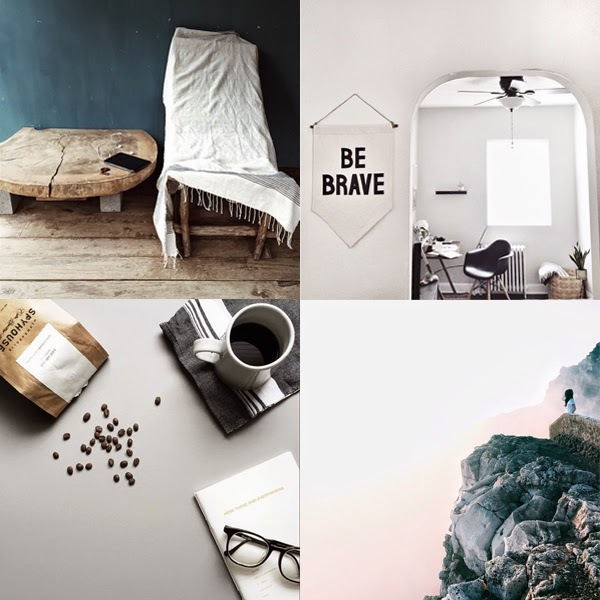 @_sarahnguyen_ // scrolling through Sarah's feed makes me feel calmer almost immediately—she's a designer based in NYC and clearly has an eye for a beautifully framed shot both indoors and out (indoors, always with great lighting, outdoors, frequently on a cliff or similar bit of nature!). Palette: white, gray, black, hint of blue, red and green. @figandtable // Rebekah's instagram is a really recent recommendation that I can't even entirely remember how I stumbled across. 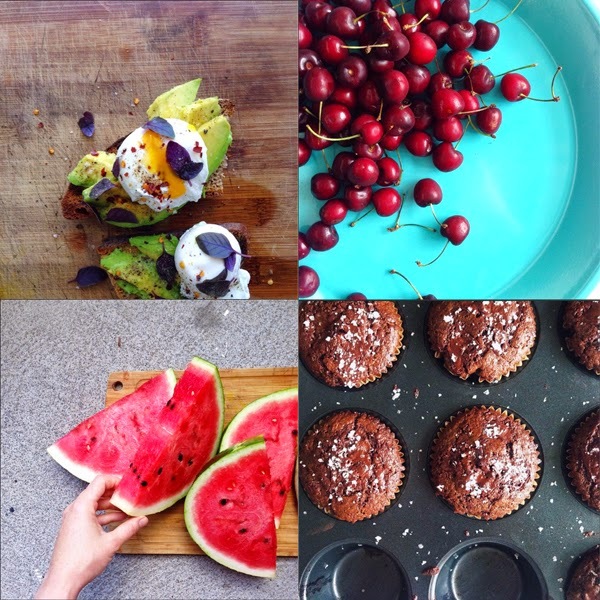 Regardless, I'm happy I did, if not always a little hungry—her feed is full of beautiful shots of food. I'm particularly impressed because most things tend to be snacks or little meals she made for herself while working on other things, yet they always look both delicious and beautiful. Lots of pretty healthy things, plus she eats local & seasonal often, all things I can get behind. Palette: white, green, yellow, red, blue, occasional pops of color. @jannikobenhoff // I'd just like to take a second and point out that Jannik, the photographer behind this feed, is only 14 years old. You know, in case you didn't feel bad about your grainy, poorly lit shots of coffee and brunch yet *raises hand*. 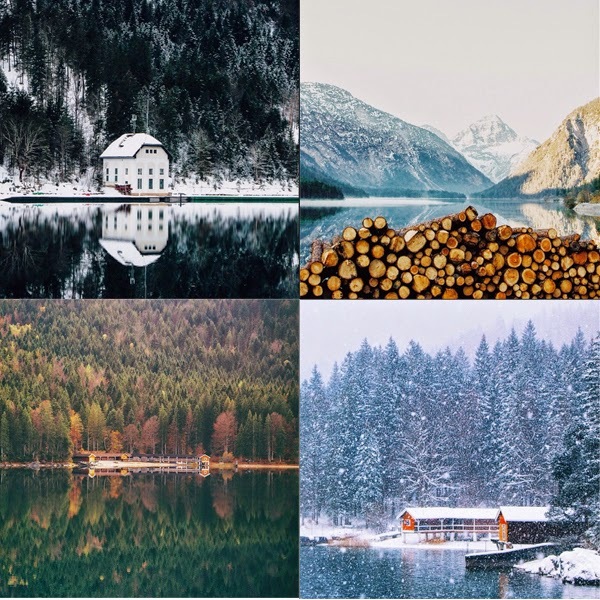 He's based in Munich, Germany, and shares some of the most beautifully framed shots of nature; he's also got an eye for capturing a subject when he shoots portraits. Palette: green, brown, black, blue, white, yellow, gray. @taylahnilsson // Because I'm always daydreaming that summer is just around the corner (even when it's clearly not), I had to share Taylah's feed. It's another recent discovery and one I really, really would like to be living in. 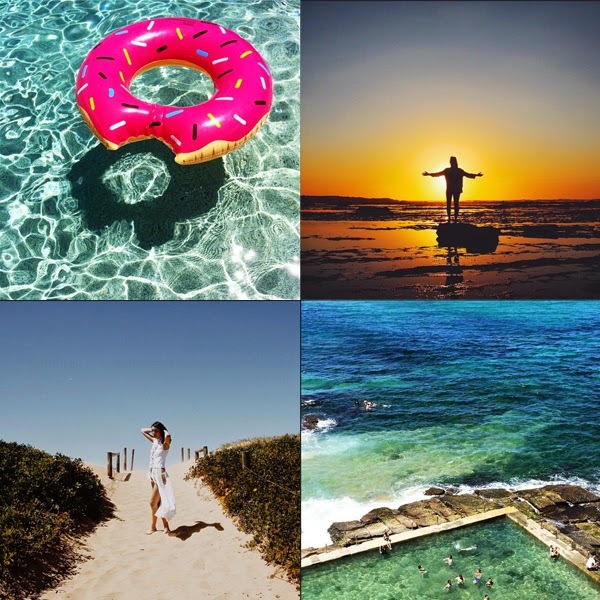 She's based in Australia, so think LOTS of beach-y, beautiful water shots, sunshine and general warmth emanating from her gallery. Palette: blue, turquoise, gray, green, white, orange, red. These are such pretty feeds! Definitely need to go hit the follow button. FOURTEEN YEARS OLD?!? I don't think I would've graduated h.s. if Instagram existed in the 90's.